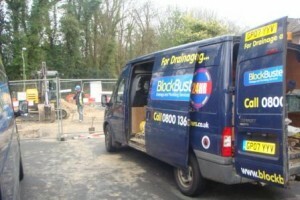 BlockBusters are specialists in all water main repairs and leak detection and can provide an immediate response for all emergency burst pipe and water main problems. From our Customer Support Centre based just outside Lewes, East Sussex we deploy Plumbing and Water Main Repair Experts throughout the Sussex and South East Area. We have water main experts based in Brighton, Eastbourne, Worthing, Crawley, Horsham, Haywards Heath, Burgess Hill, Chichester, Portsmouth, Bexhill, Hastings, Tunbridge Well, Redhill, Reigate, East Grinstead, Sevenoaks, Guildford and all the surrounding areas. Call us now for advice or an immediate site visit to discuss options and fix pipework.